On an October morning, the clouds light up over the Texas State Capitol. 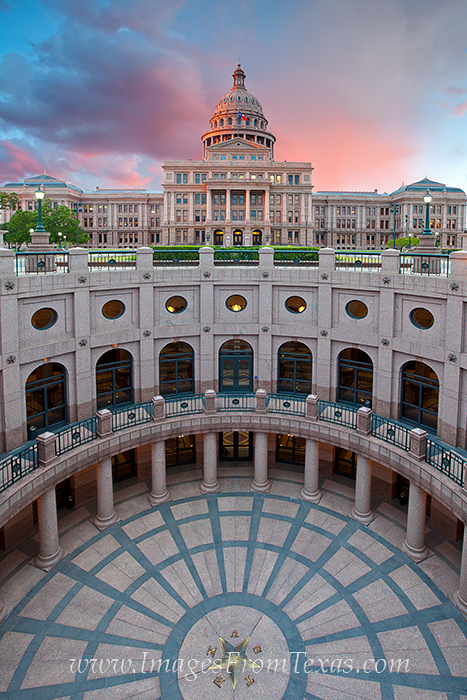 As an icon of the Austin skyline, the capitol building and surrounding grounds are a great place to spend an hour or two. Photo © copyright by Rob Greebon.